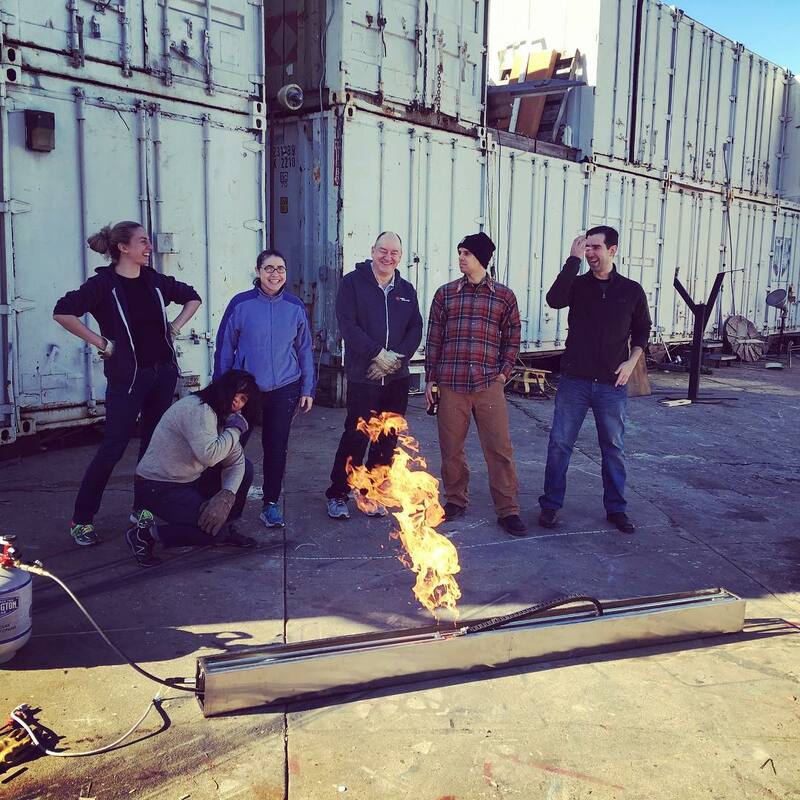 The Hydrocarbon Collective is a group of artists and engineers. Operating out of the Box Shop in San Francisco, we seek to create art that is dangerous, difficult, and challenging. 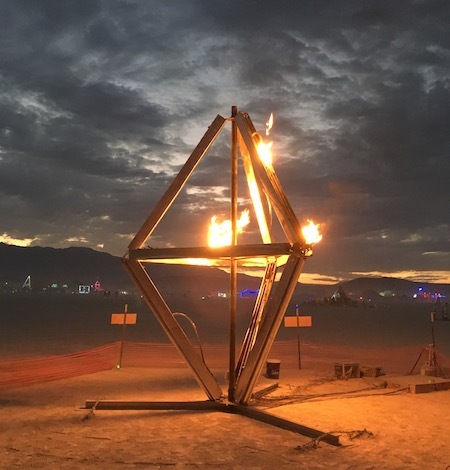 Torch Song is a kinetic fire art sculpture that was displayed at Burning Man 2017. A double tetrahedron balanced on a corner, each edge has an independently controlled flame that travels along the 8’ length. The effect is of a set of dancing flames that perform a synchronized ballet. 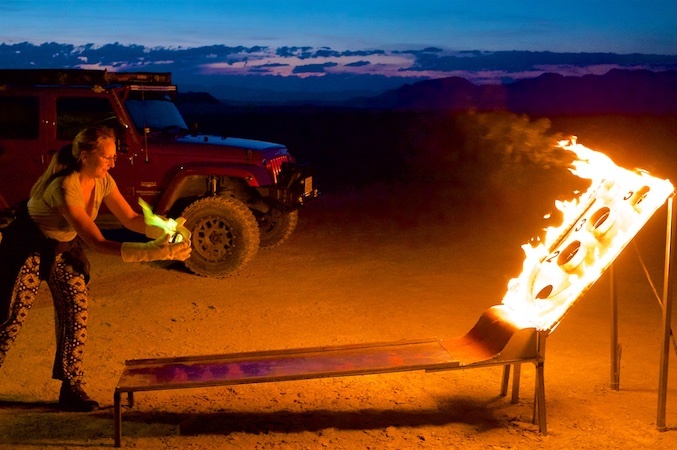 Hot Hand Luke is an interactive fire sculpture, a twist on the game of Skeeball. Except, the balls are on fire. Because art should be dangerous. In 2016, the homelessness problem in San Francisco became increasingly visible, with tent camps popping up around the city. 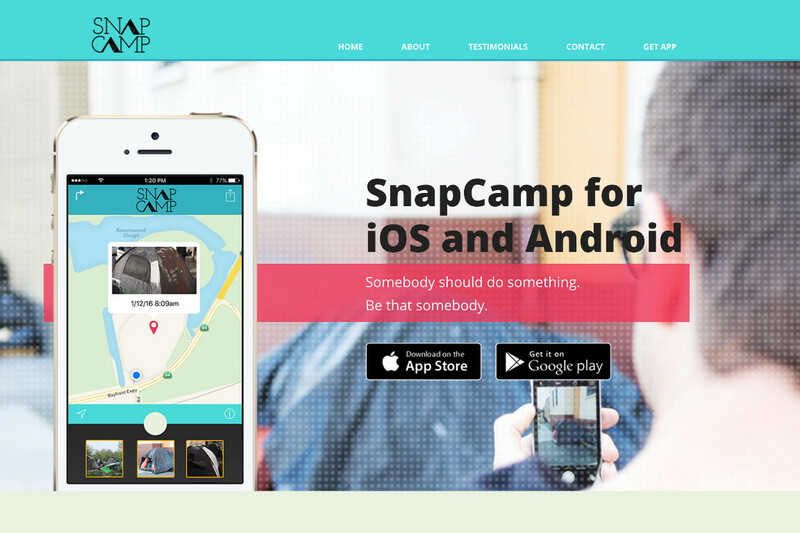 We created Snapcamp, a fake app, website, and social media account, to draw attention to the misguided "hackathon" culture of relying on software to solve society's problems. 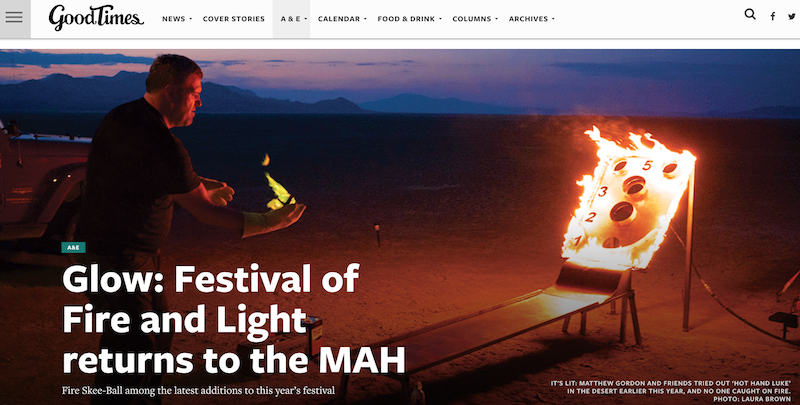 Snapcamp also lampooned the clickbait media itself, by becoming an overnight but disposable hot button issue. Shaming homeless people? There’s an app for that — or is there? Apparently, no one ever told Matthew Gordon not to play with matches. Or maybe they did, and he didn’t listen. But who doesn’t like to light stuff on fire? Matt Gordon, Perfect is the Enemy of Good, Dorkbot-SF, 2018-01-31 from pronoiac on Vimeo. Copyright © Hydrocarbon Collective 2016. All Rights Reserved...or are they?